One decorating style that's sure to be around forever and ever amen, is farmhouse style. 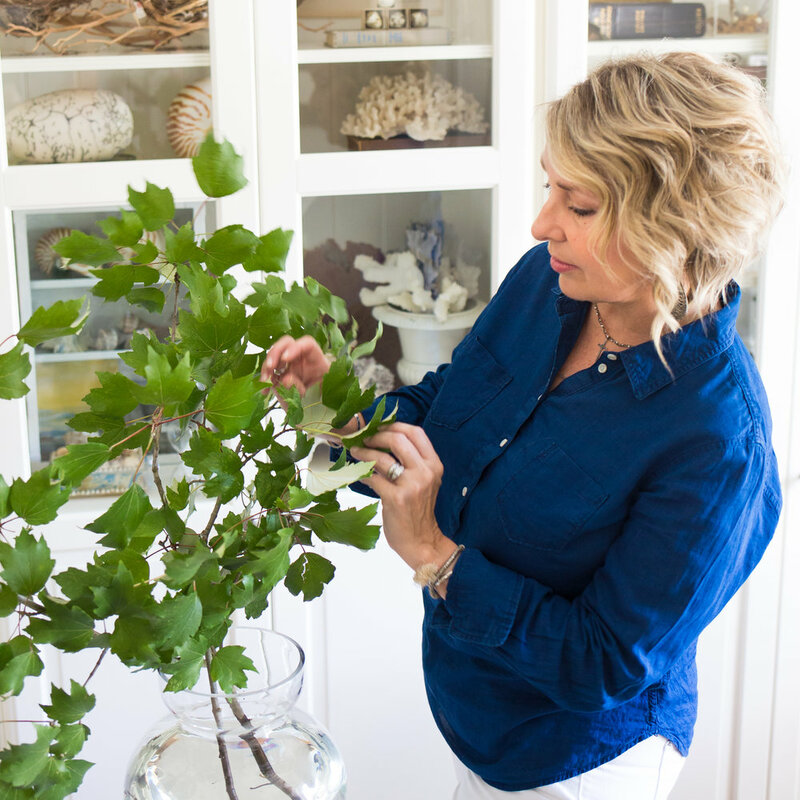 Designer Cathy Robinson Hutton and daughter Courtney Prochaska of Renovate in Houston, are doing their part to keep it fresh, relevant and affordable. You can see one of my most pinned images of their farm, The Garden Club Cottage, in New Ulm, Texas in the new Country Sampler Farmhouse Style magazine, Special Issue. I get emails weekly about the fabulous cow picture that hangs in the entry of the farm. Like any good art, there's a beautiful story about how this piece came to the farm and Courtney shares it wonderfully in this post. It's a touching love story and I'm honored to be a small part of it. So, for those of you wondering, the cow art is not available for purchase. I know I know...I wish everyone who has written me could enjoy one in their home. But there is good news! Renovate is also on the cover of the latest issue of Round Top Texas Life & Style Magazine which features new cow art that is available for purchase through Renovate. I will never forget the day I photographed the farm for Cathy. Imagine driving slowly down a gently curving gravel road on a beautiful, bright, warm summer morning in Texas. The car rounds the last turn and just ahead a golden retriever is standing in a beam of sunlight that has broken through the trees. He runs to greet my car and escorts me down the drive to the house where there are a couple of horses grazing in the front garden, like pets. I'm crying because it's so beautiful and trying to get myself together to meet these ladies for the first time. We made fast friends and laughed all day. They are truly fabulous, talented Texas women. The farm includes a darling cabin on the property that is available for vacation rentals! 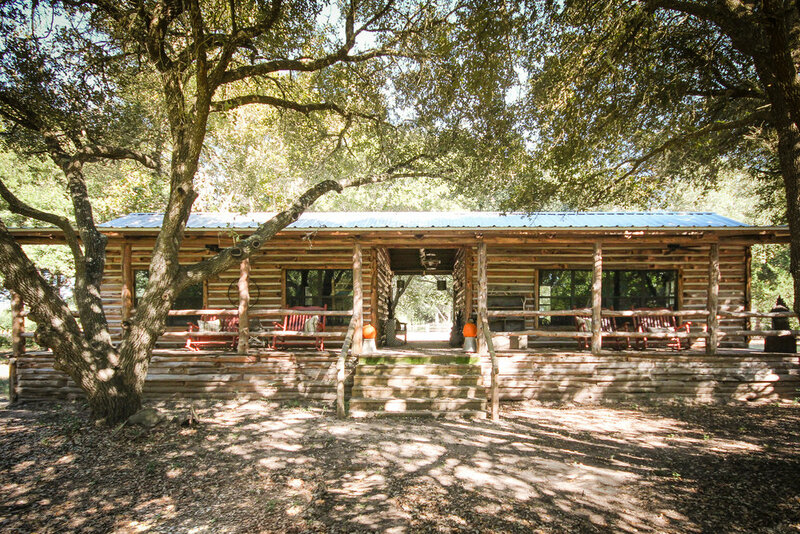 It's perfect for a girls getaway or if you need a home base during the Round Top shows. Click here for rental information. When you're in Houston, be sure to visit the Renovate shop. My clients love discovering this little boutique. It's one of my local favorites for art, gifts and furniture. And if you have a brown thumb, they carry THE BEST artificial orchids. To see more of the farm, visit my portfolio gallery. You can also see more wood panel cow art in my shop. Courtney shares all the latest arrivals at the shop on their Instagram account so be sure to follow them there to see what's new in the store. Inventory moves fast there so don't miss out!